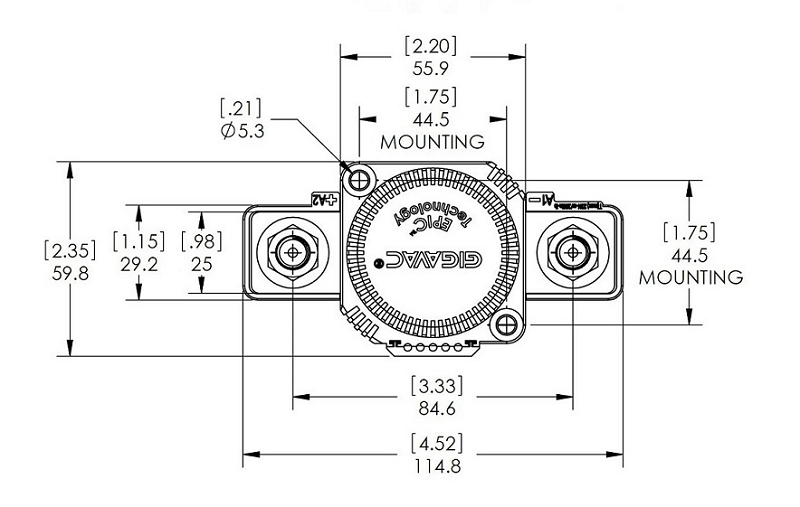 · Chassis level power terminals – No need for specially routed power cables, special bus bars, or special lugs. 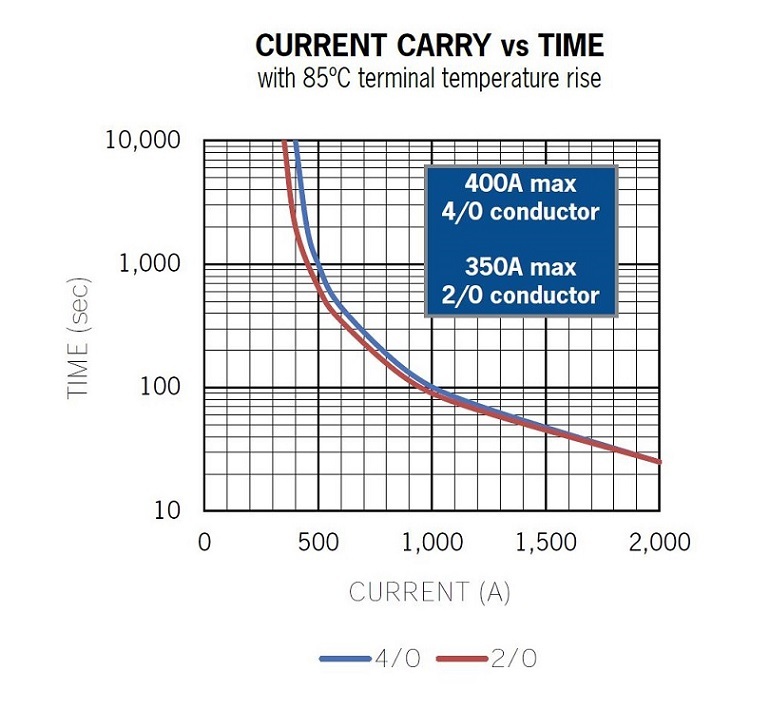 · Rugged EPIC seal rated to 347°F (175°C) – Reduced risk of fire or meltdown in over-current conditions. The same technology used for advanced aerospace programs. · Hermetically sealed – UL listed: UL1604 for Class I & II, Div 2 and Class III for use in hazardous locations, IP67 for temporary water immersion for 30 min, IP69K for pressure washing, SAE J1171 – external ignition protection, and ISO8846 for protection against ignition around flammable gasses. 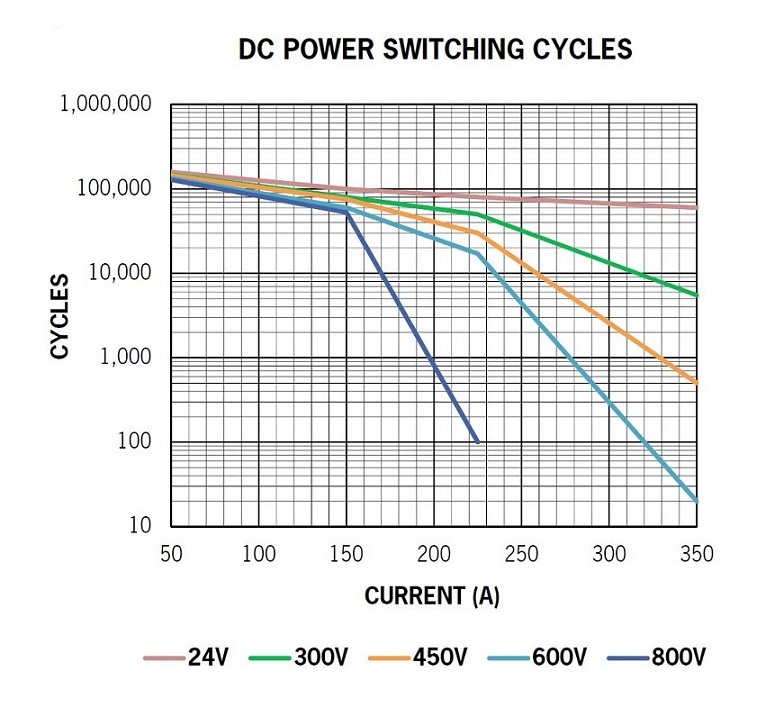 · High Efficiency Dual DC Coils – Very low 12, 24, or 48 VDC continuous coil power with no EMI emissions or crosstalk on your system control power. Ideal for battery powered systems or where low power is needed. · Built-in coil suppression for all DC coils – Saves you engineering time and parts cost to add external coil suppression. · Stainless steel nuts and mounting inserts, for years of corrosion free service. · Not position sensitive – can be mounted in any position for ease of installation. 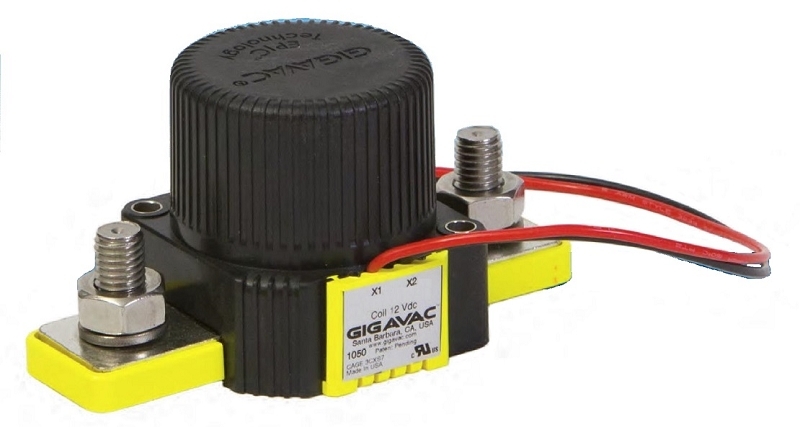 There are 2 ways to get an exact quote for the base shipping for your 12-800VDC 350A Gigavac Contactor order. We’ll research the exact shipping cost and send you an invoice to your PayPal or email or you can add it to your pallet in $1 Shipping Increments for your 12-800VDC 350A Gigavac Contactor order.